Eyelid surgery, eyelid correction or blepharoplasty is surgical modification of the eyelid. Excess tissue such as skin and fat are removed or repositioned, and surrounding muscles and tendons may be reinforced. Sagging upper eyelids and baggy lower eyelids make a person look tired and older than he or she actually is. At the same time, drooping eyelids may also obstruct vision. Reading, or whatever other activity might be difficult, since the view is partly restricted by the eyelid that droops on the eye. 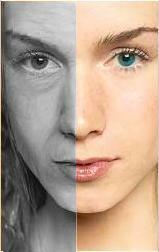 Skin aging is very individual, though the first signs appear already in the twenties. It also depends on the person when and to what extent the soft tissue of the eyelids sags, on the peculiarities of his or her skin and to some extent on heredity and lifestyle. Blepharoplasty is usually performed through external incisions made along the natural skin lines of the eyelids, such as the creases of the upper lids and below the lashes of the lower lids. Incisions may be made from the inside surface of the lower eyelid; this allows removal of lower eyelid fat without an externally-visible scar, but does not allow excess skin to be removed. External skin resurfacing with a chemical peel or carbon dioxide laser may be performed simultaneously. This allows for a faster recovery process. As a result you will have corrected upper eyelids that do not droop on the eyes (as a fold) and the lower eye lids are not so baggy any more. This surgery does not affect the eyebrows, remove dark circles under the eyes, the so called crow's feet nor other wrinkles around the eyes. People, who have had eyelid surgery very often also have an eyebrow lift and/or a facelift, which gives them a more youthful look. Patients, who are at least 35 years old and who do not have problems with glaucoma, dry eyes (eye does not produce enough tears), hypothyroidism and do not suffer from diabetes nor hypertension, are the best candidates for eyelid surgery. Patient should provide the surgeon with full medicalrecosrd, including information about chronic diseases, allergies, any medications or vitamins taken. Whether there's need to make an eyebrow lift and/or facelift. Patient should definitely stop smoking temporaly, since it hinders the wound healing and the scars may be more noticeable. The surgeon might also prohibit taking some medications and vitamins for some time (e.g. aspirin), or vice versa, he will recommend to take vitamin C for example. You may need to take painkillers after the surgery, eye drops, since eyes will tend to be dry at first, ice bags to reduce the swelling. It is completely individual how long it would take for the swelling to go down, though usually it goes down in two weeks' or even months. You may be light sensitive after the surgery and there are temporary changes in vision, it can be blurry or double. Wearing contact lenses is prohibited until the incisions are completely cured. Patients who need them will be advised by their doctor when it is safe wearing them again. Patients who undergo a blepharoplasty may watch TV and are able to read after two or three days after surgery. Patients may go to work in a week or ten days after the operation. It is recommended to wear sunglasses, especially since your eyes may be extremely light sensitive at first. The skin around the eyes is considerably more delicate than the rest of the facial skin and this is where signs of aging appear first. The muscles of the eyelid weaken when growing old, the skin becomes drooping and fat tissue gathers under the eyes, forming bags. In many cases, the person isn't old at all, but his or her baggy eyes and drooping upper eyelid make him or her look much more tired and older. Skin usually starts to grow noticeably older after reaching the thirties, therefore it is recommended to start using special anti-wrinkle creams. One of the main aging factors is dry skin. It might just be that you have a dry skin type, or skin might become drier due to smoking for example. You should pay extra attention to the skin around the eyes; there are special lotions that moisturize and/or are anti-aging and smooth wrinkles. You should stop bad habbits like smoking and have a healthy diet, because smoking makes the skin drier and therefore wrinkles are deeper and bad diet (too much coffee, vitamin deficiency, etc.) lead to considerable weight fluctuation. Sleeping on your stomach also quickens forming bags under your eyes. Anyway, you have the solution - affordable eye surgery in our clinics. Recovery: You should avoid reading or watching TV for three days after the surgery. You can go back to work in about a week. You can wear contact lenses after two weeks. You should wait three weeks with activities that increase your blood pressure. Possible side effects: Temporary swelling, aching. Scars: The scars will remain pinkish for about six months to a year. In time they will fade into almost invisible white lines that are usually hidden in the fold. reactions to anesthesia. Extremely watery eyes, light sensitivity, temporary changes in vision (blurry or double vision).